Safe Haven is a beautiful, comfortable 4 bedroom 4 bath home across the street from beach access. There are 2 master suites, each with a private bath. Three bedrooms have queen beds and the 4th has two twins, plus there is a sleeper sofa for an occupancy of 10 max. Bed and bath linens are included in the rental, and beds will be made for your arrival. There is living room space on both levels, with a fireplace on the main floor living area and a deck off the second level area. Gourmet-quality kitchen has it all, including gas cooktop and appliance garage. Large privacy deck to watch the water, and a widow's walk for panoramic views. Stay once and you will want to come back year after year! We vacation quite frequently and found this home to be our favorite vacation home because of the location, accommodations, cleanliness, amenities, and overall peaceful atmosphere! It just felt like home! We felt blessed to be there and we dreaded when we had to leave. I give “Safe Haven” the highest possible recommendation. This was one of the best beach vacations we have had. We stayed here with family and had an amazing time. The house is absolutely beautiful--beautifully decorated, spacious, clean and well-equipped for our stay. 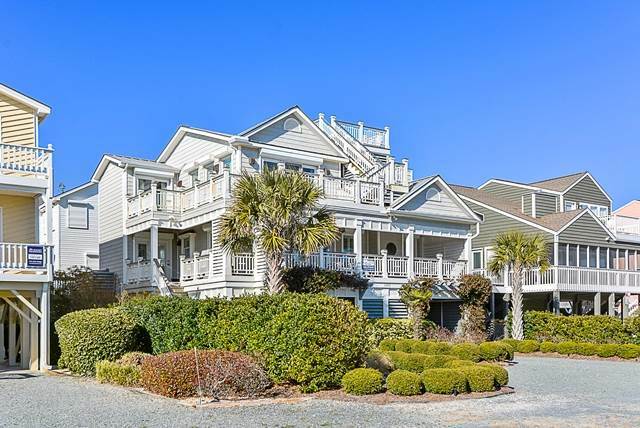 We couldn't have asked for a better location--across the street from the beach and minutes from everything. We will definitely be going back!